Welcome back to our Featured Physician series! We're excited to showcase our Regeneris Physician Affiliates and tell you about their practices, why they became interested in regenerative medicine, and technologies they're excited about. 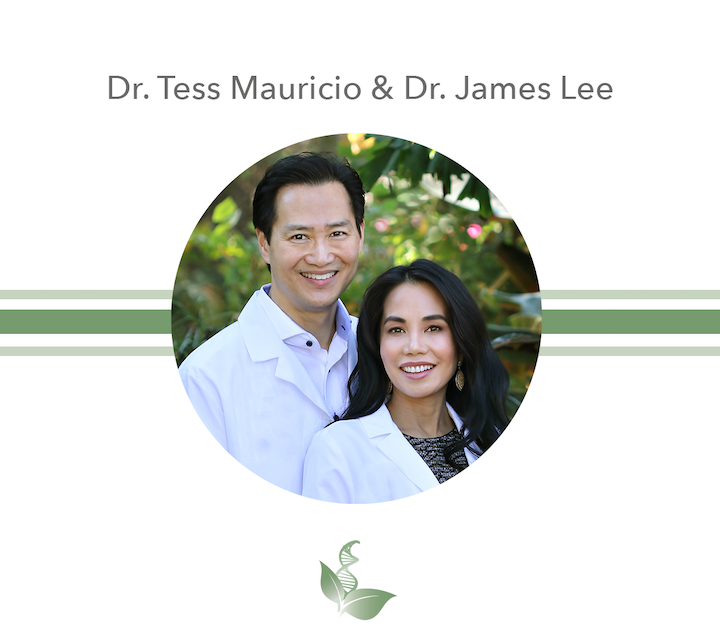 Today we'd like to introduce you to Dr. Tess Mauricio and Dr. James Lee from California. We are excited to announce that Regeneris Medical is joining forces with Dr. Tess and Dr. Lee. We are looking forward to this partnership and the opportunity to bring the Regeneris brand to their San Diego and Beverly Hills office. Dr. Tess is an internationally recognized cosmetic surgeon, author, renowned speaker, teacher, and media personality. She is considered one of the leading experts in regenerative stem cell medicine therapies and women's health. Her team will continue their incredible work in the field of regenerative medicine, bringing these state-of-the-art technologies to the people of California and beyond. This partnership is a chance for the Regeneris Medical brand to grow and help even more people discover the power of regenerative medicine. We have been in practice since 2004. We are a family owned cosmetic dermatology, dermatological surgery practice that has been specializing in regenerative aesthetics and adipose-derived regenerative medicine for the past 5 years. We are one of the first practices in the US to offer platelet-rich plasma and adipose-derived stem cells, stromal vascular fraction treatments. Dr. Tess is a recognized pioneer in the field of regenerative medicine and aesthetics. She helps create regenerative protocols, educates and trains other doctors on these life-changing procedures such as ALMI, Time Machine Procedure, vConfidence and vTimeMachine. We believe in a holistic, integrative approach to achieve the best outcomes and help our patients be their very best inside and out, and live their best life. We are a family of health care professionals (our family is full of physicians and nurses who work together) and have created a caring, nurturing, healthful healing atmosphere. We even offer free workout, yoga and other soul enriching classes to the public through our Life Center! DR. JAMES LEE: My involvement with regenerative medicine started as a personal story. I had a history of neck pain secondary to cervical stenosis, that I eventually needed surgery for. I underwent a 4 level neck procedure three years ago, and recovering from that was painful and slow. I elected to have stem cell Regeneris procedure about one year post and am extremely happy with the results. I am pain-free and back to life! DR. TESS: I was introduced to Platelet Rich Plasma many years ago when it was supposed to be an alternative to fillers. I started using PRP in combination with our other skin resurfacing techniques and created our signature Time Machine Procedure 5 years ago. I also was one of the first female doctors to offer the O Shot and P Shot - utilizing PRP for sexual health. Since I routinely perform liposuction, I was one to the first doctors to use fat for its stem cell properties. We have been offering adipose-derived regenerative treatments for many years and the results have been amazing. I am a huge believer in the power of stem cells. I have treated my own family: my husband, Dad, father in law, brother, aunts, and uncles and everyone has improved! 3. What are some of the most exciting technologies in this field? DR. JAMES: What is most exciting about Regeneris stem cell technology is that it can be used for the entire body, or specifically targeted for more specialized treatment. I personally benefited from both general IV stem cell treatment and targeted treatment for hair. DR. TESS: Aging of the skin, hair, chronic pain and other degenerative conditions associated with aging can now be treated utilizing our own body’s natural ability to heal and regenerate. We now routinely treat a patient from head to toe, inside and out from a single fat harvest. In a single visit all under local anesthesia and just a few hours of treatment, a patient can have their hair, face, neck, hands, joints and even sexual organ treated along with IV infusion of their stem cells for internal healing and regeneration. It’s truly amazing! 4. Why did you decide to become a doctor? DR. JAMES: I always had an intense propensity and curiosity for how things work. That curiosity was strongest for how my own body worked. That combined with a natural desire to help people made medicine an obvious choice for me. I can’t imagine anything else as rewarding and fulfilling. DR. TESS: I have always wanted to be a Doctor from as far back as I remember. As a medical student at Stanford, I realized I wanted to help improve my patients’ psychological well being and overall happiness, so I thought I was going to go into psychiatry. When I did my Dermatology rotation, I realized that helping people look their best results in patients feeling their best, improving confidence, self-esteem, and happiness. I found my true calling!